The possibilities are quite countless, which brings us to today’s topic: the garden path. More than just a space to walk on, the garden path is also a truly important feature. The right path can make or break your garden (regardless of whether or not you’re boasting some prize-winning roses), so careful planning is a must. Therefore, let’s take it from the top, and start planning the perfect material (and layout options) for your garden path. First of all, taste is a matter of personal preference. 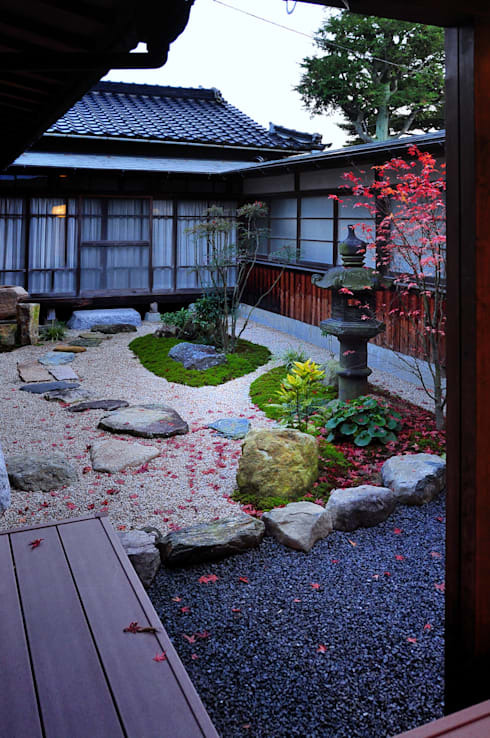 And as people differ, so will their gardens – hence, their garden paths as well. Think about it – your garden is a reflection of your taste and personality. Whether you choose to go wild and unkempt or neat and trimmed, it needs to be a space where you feel welcome and comfortable. Whatever theme or design you choose for your garden, your garden path needs to be an extension of that. And as garden paths tend to lead towards other locations (such as the house, garage, tool shed or terrace), their layouts and looks should blend in with more than just the colour of your flowers. So, first know which style is right for you (and your garden). Gravel needs to be on top of our material options list for various reasons. 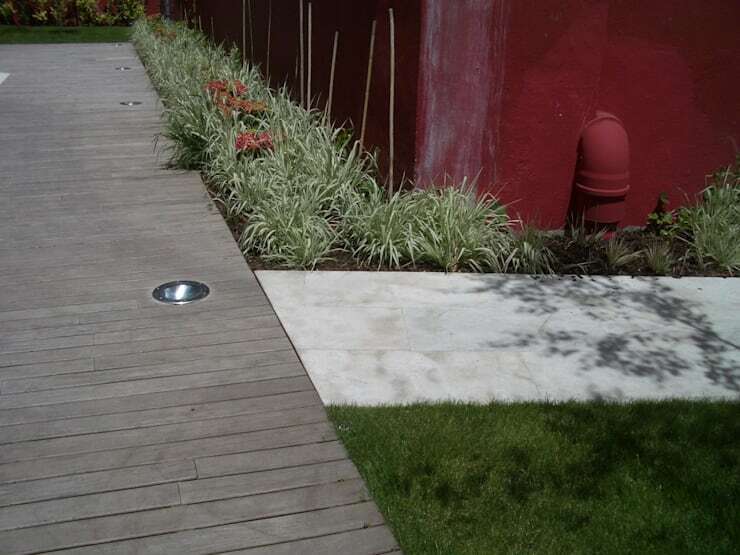 First of all, it is a very popular choice for paths – it has that raw, natural look that a lot of homeowners (and garden lovers) enjoy, so it fits in beautifully with almost any exterior space. Secondly, it comes in various colours and densities, so you know that you are bound to find the perfect choice for your unique space. Gravel is also cost-effective and is a very easy option when it comes to manual labour. Depending on the amount of gravel you will need, you can easily transfer it to your house without using any high level transportation. And once it’s at the desired location, it’s simply a matter of scattering it where it needs to go, raking it into the right setting, and enjoying its attractive look. Last but not least, gravel doesn’t require any maintenance. No need to worry about cracking or peeling paint, because what you see is what you get! Seeking an au naturel look for your garden path (meaning pure and simple grass)? The choice is completely yours; however, allow us to provide some helpful tips regarding your love for grass trails. Walking and stomping on grass, particularly on a set trail, tends to kill it. Think about those natural field trails where endless amounts of walking have resulted in ground paths instead of lush grass. That is what will happen to your garden’s grass after one too many garden strolls. Might we suggest adding some perforated brick to form a neat little path wherever people tend to do the most walking in your garden? 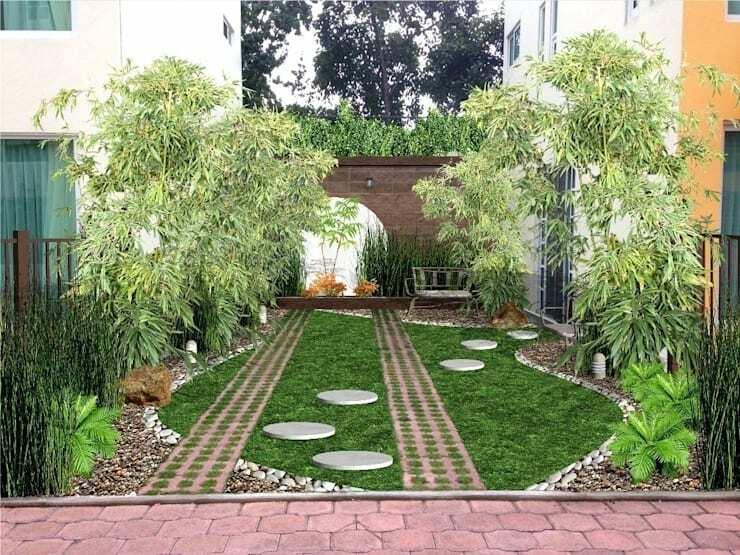 Grass growing through the brick adds a delightful touch to a garden – and don’t you want your garden path to be stunning? This way you will get a neat little garden trail where you want one, and you don’t have to watch in agony as your beloved grass path withers away while friends admire your petunias or the kids play hide and seek. homify hint: Having brick under one’s feet also helps to get rid of sand or mud, lessening the chances of transporting dirt into the house. We return to the delightful gravel option, but with a slightly more Eastern approach. As we’ve said before, gravel is available in a multitude of different colours, so if you’re concerned that this material might make your garden look bland, think again. 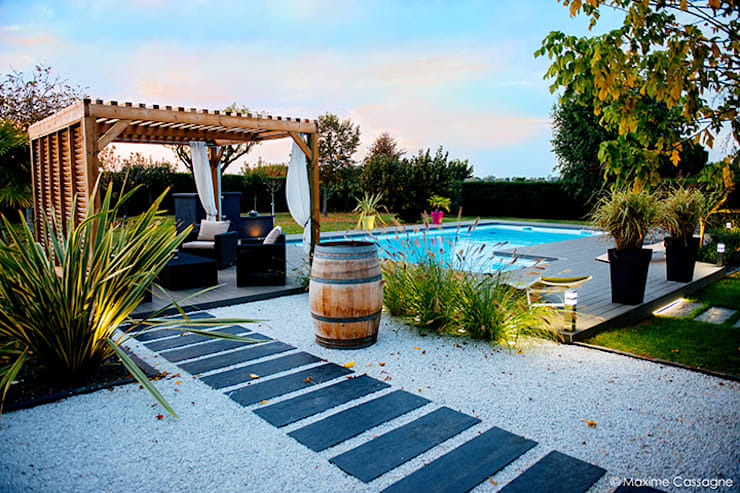 As shown in our example above, combining differently coloured gravel options can transform your yard into a magical Zen-like garden. You can even consider adding flat rocks to the gravel, making a path on top of your path! Whether you want to go all Zen (by including rocks, water features and pruned trees) or would just like to keep the striking gravel combination for your path is up to you. Want to ditch the natural gravel look for a more neat and designed style? No worries – a paved path might just be what you’re after. Straight or curvy, paved paths can be designed in any shape desired, so feel free to experiment with swishy turns to round your rose bushes magnificently. Stone, brick or pebble – doesn’t matter. You are spoiled for choice when it comes to colour and style (would you like that smooth or rough? ), so pick your poison/path and watch it turn your garden into a Wonderland-like setting. Note, however, that this option does involve a bit more work (and expenses) than your average gravel path, as professionals like stone cutters and bricklayers tend to get involved in this type of job. However, as shown in our example above, the end result can be very much worth it! For a more elegant solution, why not try that ultra popular choice when it comes to raw and natural materials – wood? Wooden panels laid out in a path structure can be quite the stylish element to your garden, especially if you want to flaunt a decidedly rustic look. As with bricks and stones, this option does require a bit more ka-ching than the gravel option, especially if you’re looking to bring in quality floor lighting, as shown in our accompanying image. In addition, your chosen timber will need to undergo periodic maintenance to protect them from weather and wood-chewing insects. If all of this causes no hesitation, then we say go for it, as few things are as striking as an aesthetically pleasing wooden garden path! If swishy curves are not your thing, then keep it basic with a block design. As shown above, rectangular shapes don’t have to be bland and boring – they can be quite stylish and modern, and with the right design and materials, can convert a garden into a chic little outdoor haven. Place large stone slabs for a striking path, or opt for a pebbly texture instead. Or why not combine the two? 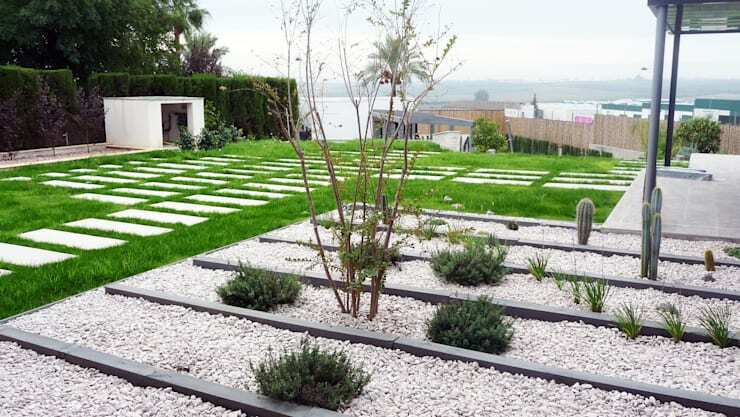 As both slabs and pebbles are also available in an assortment of colours and textures, the most difficult part will be to decide which to choose – or which ones to combine. Should you decide on the slab option, make sure you have some strong muscles handy to help you carry and place them to your desired location. And watch those toes! 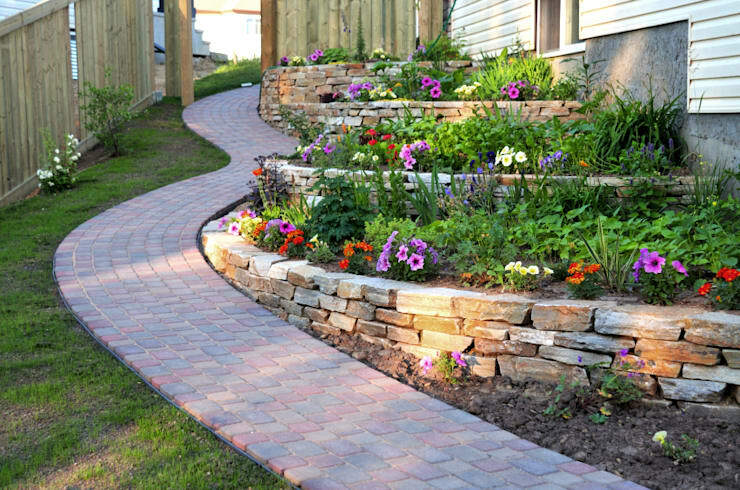 Lastly, enjoy showing off your fabulous new garden path to your friends and neighbours. Add some (literal) life to your garden! We’ll show you Easy ways to attract wildlife into your garden.